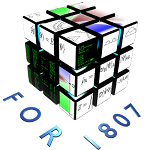 The FOR 1807 Winter School 2018 will take place Feb. 19-23 in Marburg. All informations and the program can be found here. The fee covers social program and banquet. Registration deadline expired at January 15, 2018. You can register for the waiting list. We will contact you to clarify your participation as soon as possible.